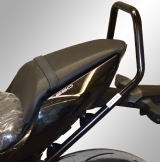 Add practicality and extra luggage carrying capacity to your Kawasaki Z650 motorbike with the addition of a Renntec luggage rack or sports rack. 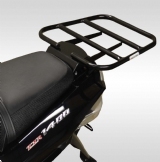 This easy to fit addition to your bike adds touring capability to any machine. It also adds the ability to carry your gear for your daily commute. Choose the fantastic addition of a Renntec Grab Rail or Pillion handle to add security and comfort to your Kawasaki Z650 motorbike. 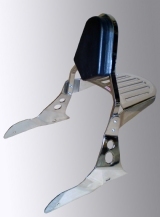 We have been designing and manufacturing quality motorcycle accessories for over 35 years and possess a wealth of experience and knowledge. 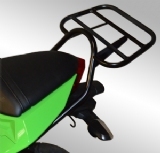 We’re confident that you won’t better-quality grab rails or pillion handle anywhere else.